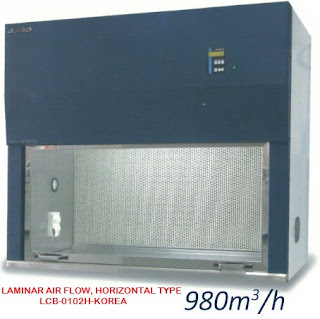 Laminar Flow Cabinets provide sample protections utilizing HEPA Filters to generate a parallel ( Laminar) Flow of clean air, this can be horizontal (HLF) or vertical (VLF),to BSEN 14644:1999,and clean conditions to better than EU GMP 2008 Grade B (equivalent to Federal Standard’s class 100). Achieved using EU4 Pre-Filters and HEPA (High Efficiency Particulate Air) Filters that are rated to 99,997% efficient @ 0,3 microns. 2. Internal lighting ang toughened glass end-panles are fitted as standard to ensure maximum visibility when working at the cabinet. 4. Front screen acrylic), hinged across the whole width enables complete access to the working area.